The A458 as it cuts through Harley Bank on the outskirts of Much Wenlock is in an area of outstanding natural beauty adjacent to the renowned Wenlock Edge in Shropshire. 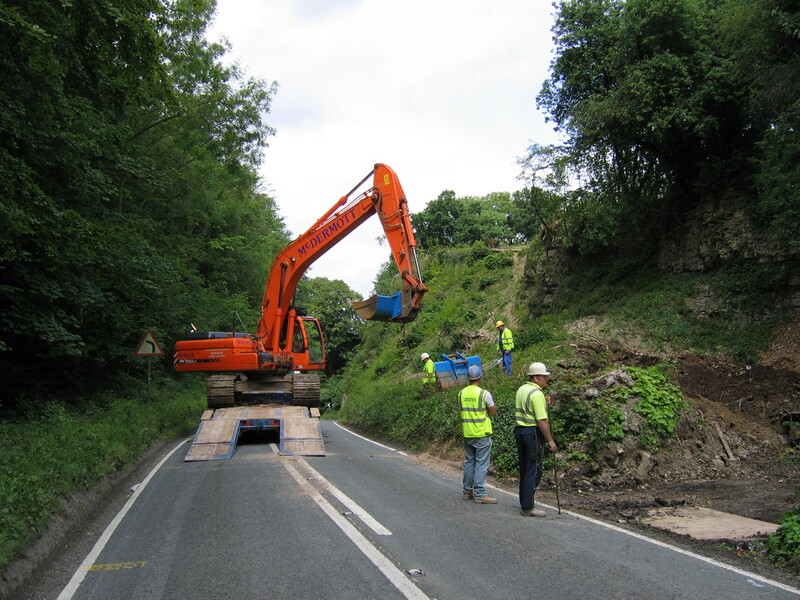 However as the A458 cuts through the rock Harley Bank towards Much Wenlock this section of road as noted for rock falls onto the existing narrow carriageway. 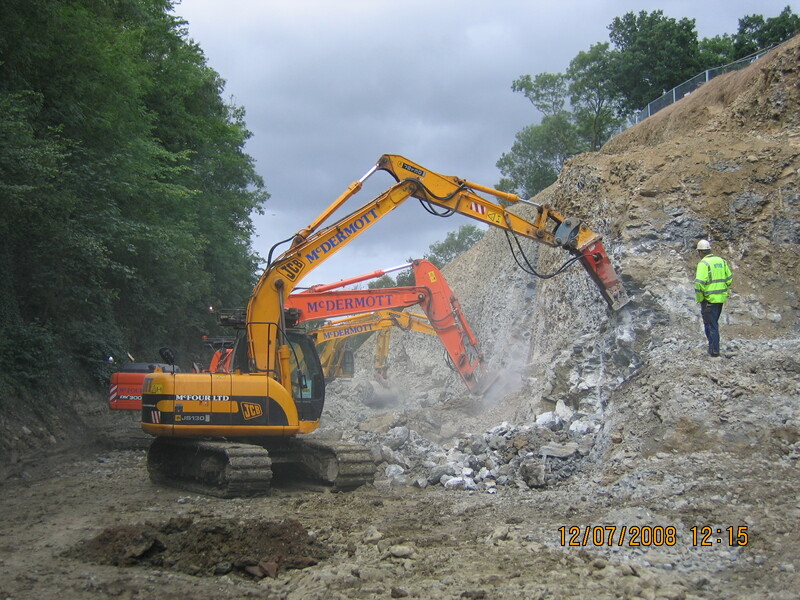 In the summer of 2008 a large rock fall of material completely closed the A458 which resulted in large traffic diversions being implemented to mitigate whilst the road was reopened. 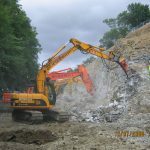 McFour were engaged by Enterprise Ltd and Shropshire County Council to undertake emergency excavation works to remove and reopen the highway and excavate the rock back to a stable formation. McFour employed a large fleet of its own excavators, dump trucks and breakers to construct the rock cut to the new profile. 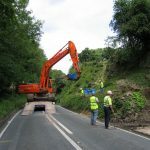 Our site team worked with Enterprise and SCC with the gangs working 7 days a week which resulted in the road being opened early for the public. 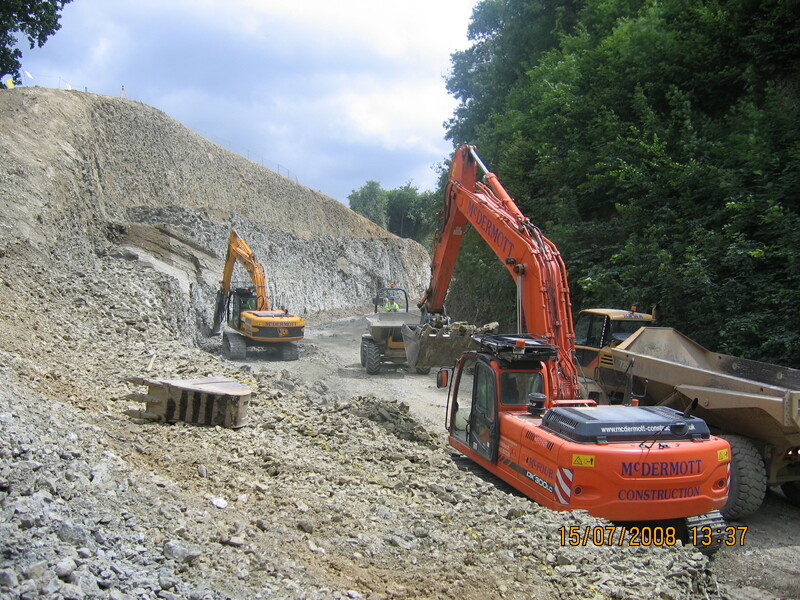 The works involved the excavation, ripping and breaking of the existing rock material and transportation along the closed A458 to form new landscaping, temporary haul roads and animal habitat formations approximately 1.5km from the rock face works with full reinstatement of all temporary haul roads and accesses.